Seems you can&apos;t turn around for five minutes these days without Atlantis launching a new model. 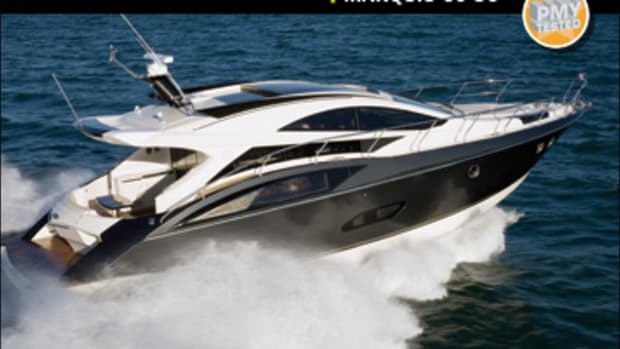 The company has been burning the candle at both ends ever since it was set up in 2001 by Azimut-Benetti, which bought the high-tech Gobbi shipyard in Piacenza, Italy, for the purpose. 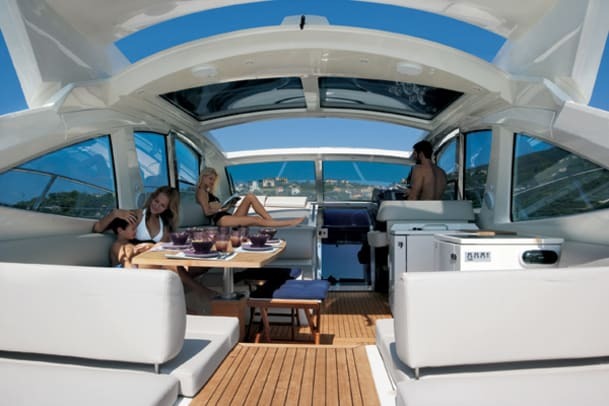 It started with a 42 and a 47, both nice-looking craft, and then came the radical-looking 55 with her domed-glass hardtop and science-fiction folding tables. Last year the company took the bold step of hiring Michael Peters to design the hull and exterior of the Atlantis 39, which was announced grandly as a "world boat" that will appeal to all international markets. It turned out so great, Atlantis asked Peters back to do a 35. And there&apos;s also the new 50, the company&apos;s sixth new model in five years. The 50, however, is very much the son of the 55. 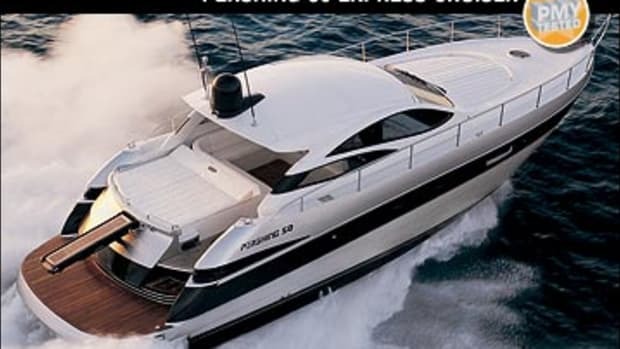 The hull is a shortened version of the bigger boat&apos;s Ausonio & Falletta design, and the styling, with its distinctive domed wheelhouse, is a kind of homage by the Atlantis design office to the Stefano Righini original. To my eye, at least, it&apos;s an improvement. Although in terms of length and displacement there&apos;s not a huge difference between Atlantis&apos; two biggest boats, the new 50 and the older 55 are radically different in outlook. While the flagship was conceived as a style manifesto for the fledgling brand, with her outlandish looks and designer tables, two luxurious double cabins, and three heads, the 50 seems to be a conscious step back to the eternal verities of the cruising boat. She&apos;s simpler. Her looks are less flashy, but more handsome. There&apos;s an emphasis on practicality and comfort, rather than on ostentation. Take the tables, for instance. On the 55 both the one located in the cockpit and the one that&apos;s in the saloon were works of art. They cried out for attention. But they were only averagely good at keeping your drink off the floor. The tables on the 50, on the other hand, you hardly even notice—but you&apos;ll find your gin and tonic exactly where you left it. There is also no tender garage—your boat for the boat will live instead on the 50&apos;s bathing platform, to be launched and recovered by the electro-hydraulic hoist that doubles as a passerelle. It&apos;s not very James Bond, but it&apos;s easy and practical. 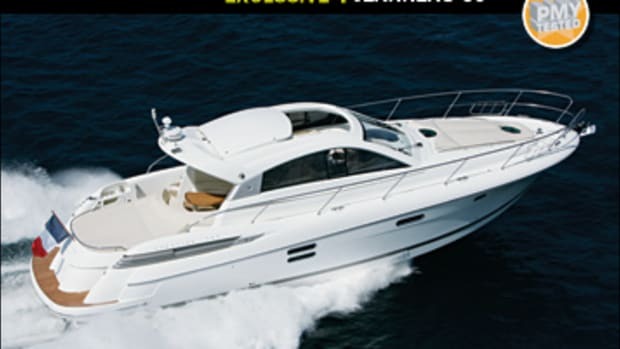 The accommodation layout on the 50 makes excellent use of the available hull volume, with a master suite in the bow and two pretty reasonable guest cabins amidships—one a double, and one with twin berths. 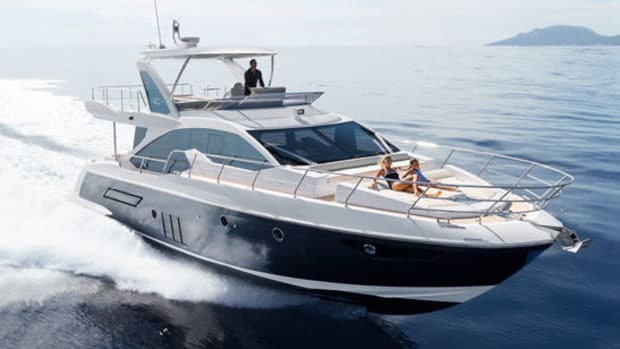 There are just the two heads, sensibly—a fairly small one for the master cabin up forward on the starboard side, and a slightly larger guest head to port with access from both the saloon and the port guest cabin. In the center of things is a comfortable saloon with a long, straight galley on the port side and a slightly longer L-shape sofa to starboard, facing a big plasma TV. Plenty of effort has gone into providing practical stowage space. The master cabin does best, with lockers around the edge, three big drawers under the berth, and a big hanging locker; with just its single hanging locker, the starboard guest cabin comes off worse. The galley is exceptionally well thought out, with the big refrigerator and freezer installed in lockers below the countertop and custom-made stowage for crockery and cutlery. It also has plenty of general locker space, some of it fitted with excellent sliding racks. The Atlantis I tested was finished in the optional "extra luxe decor," featuring dark weng hardwood floors, cream and chocolate bulkhead fabrics, and blond teak joinery. It looked great. 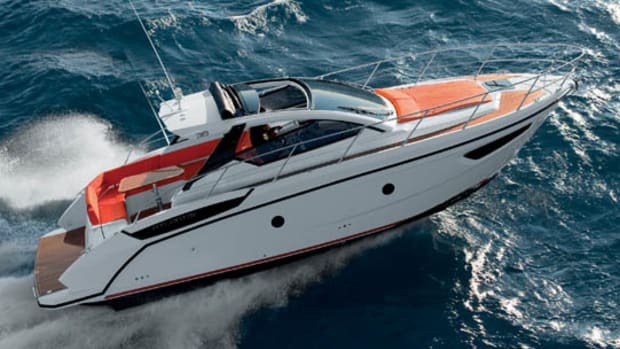 This was the first Atlantis 50, unveiled at the Cannes boat show in September, and so she was also fitted with the European standard engine installation of twin 715-hp Volvo Penta diesel inboards. U.S. boats will have 800-hp Volvo Pentas as standard equipment, but according to Atlantis there is likely to be only a marginal difference in performance—perhaps a knot or two. There are worse places to test a boat than Cannes. The sky was high and blue, and the hills behind the town were fading into a warm haze as the morning sun gathered its strength for another tough day at the end of a Mediterranean summer. The weather had been unusually unsettled, and out beyond the bay we managed to find the remnants of a swell left over from a hard blow the day before. 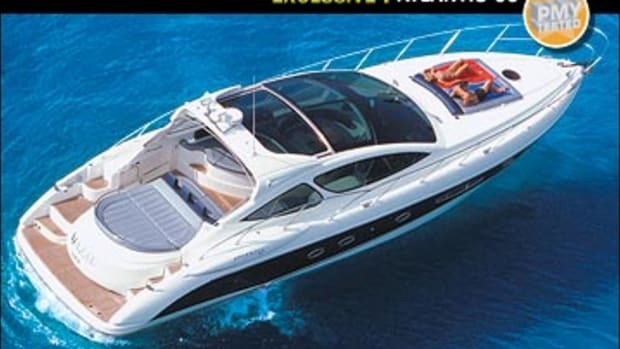 On top of that there was, of course, the usual aimless chop assembled from the crisscrossed wakes of dozens of other boats, large and small, all out doing what we were doing among the serenely anchored superyachts. A woman watched us from the deck of Christina O, the old Onassis yacht, as we sped out towards open water. What sea there was, this hull ironed out with no fuss whatsoever. Its transverse sections are not especially acute, but there seems to be plenty of depth to the forefoot, which lends a certain authority in a head sea. The long swells became a gently undulating playground, and on the shorter chop I couldn&apos;t induce slamming at any angle I attacked them from. Visibility from the helm was generally excellent, with dark moldings used around the console to prevent windscreen reflections. The control ergonomics inspired confidence, too—although tinted glass for the screen never seems such a great idea when the weather gets murky. In our acceleration trials, once the engines&apos; initial computer-controlled caution was thrown to the wind, the boat displayed an infectious joie de vivre, leaping from 15 to 20 knots in three seconds and from 20 to 25 knots in not much more. 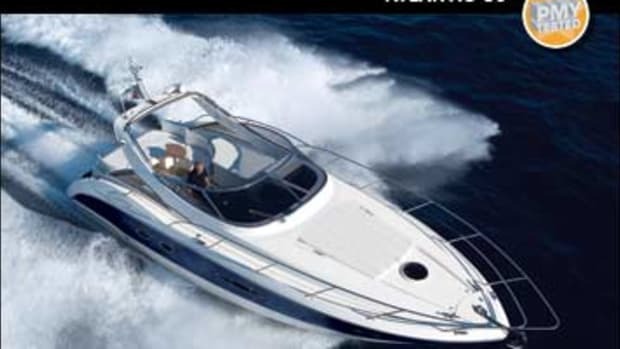 The engines also offered plenty of torque low down the rev range, and at 1600 rpm, with no need for any trim tab, they kept us planing steadily at 20 knots—a perfectly respectable cruising speed and pretty economical, as well as fairly quiet. The maximum I recorded in two-way trials was an equally respectable 31.5 knots. 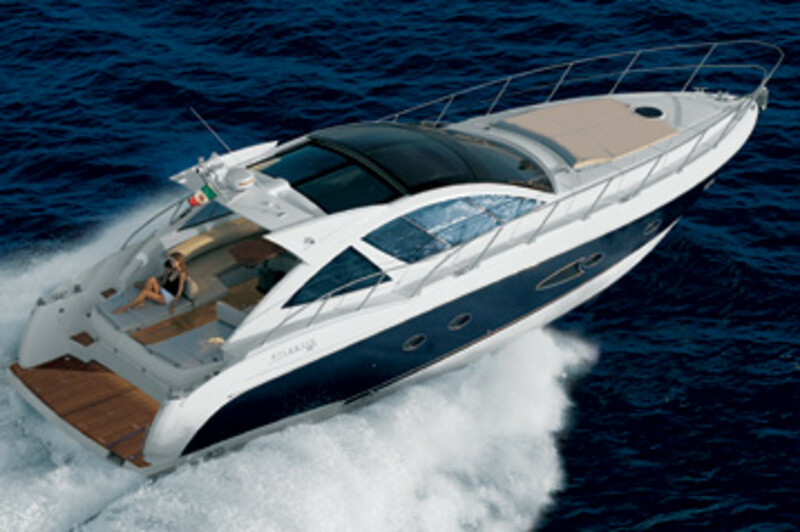 Overall the 50 came across as a fun driver&apos;s boat, which is not a bad achievement for a 20-ton cruising machine. I&apos;m sure the lady on Christina O was impressed. 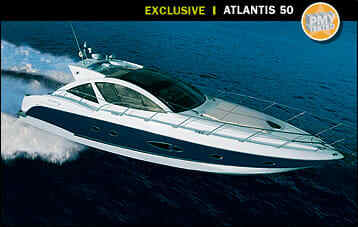 What Atlantis has up its corporate sleeve for its next new model has yet to be revealed. The only thing we can be sure of is that we won&apos;t have to wait too long. 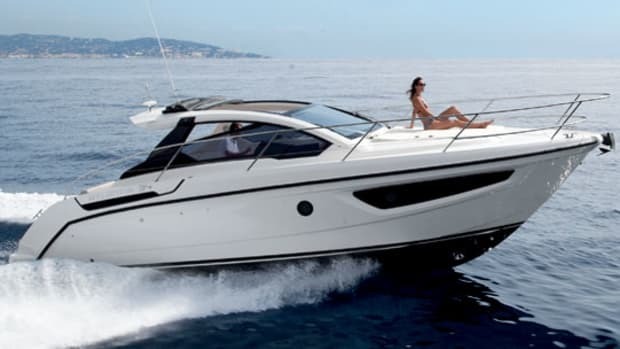 This new 50 is a capable all-rounder, well equipped for comfortable cruising yet with the performance and handling of a sporty lunchboat. She is also a handsome vessel, devoid of quirks and vices, and unlikely to go out of style any time soon. Whatever new models come and go, this is one that looks like she&apos;ll be sticking around. For more information on Atlantis, including contact information, click here.